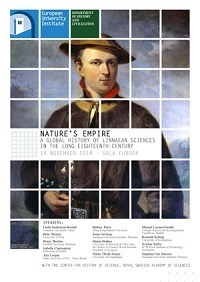 On 12 October there was a workshop at the Royal Swedish Academy of Sciences in Stockholm on “A global history of Linnaean science, 1750–1820”. 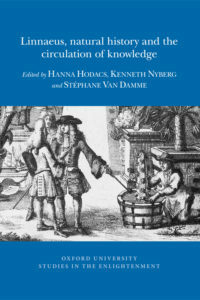 My longtime collaborator Hanna Hodacs and I had organised it in cooperation with the Academy’s Center for History of Science under its director Karl Grandin. It was a small event, with a handful of invited speakers from various countries and a total of 22 participants, but it lived up to and exceeded some very high expectations. We are most grateful to the Center, to all our speakers, chairs and other participants, and of course to those who made it possible by giving us the necessary funding: the foundations of Åke Wiberg and Lars Hiertas Minne. We had tried to put together a mix of speakers and topics that we thought would be similar enough to stay focused and diverse enough to stimulate good discussions – a difficult balancing act to be sure, but it seems to have worked out perfectly. 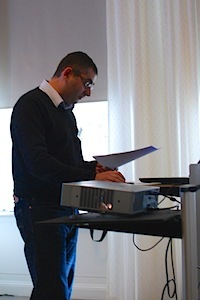 The workshop was one full day, from 8.30 in the morning to 5.30 in the afternoon, but we only had eight papers. As usual, speakers were given about 20 minutes to present their papers, but rather than 5 or 10 minutes for discussion we had an equal 20 and that made a lot of difference. It allowed for more in-depth discussions and kept everyone engaged throughout the day, so that by the end of it we were all quite exhausted but – I think – also full of inspiration and new ideas for future work. The overarching idea of this workshop is to explore the global geography of Linnaean science. Both centres (whether cosmopolitan Paris or on the Coromandel coast) and frontiers (Norwegian as well as Venezuelan) will be discussed. Within this broad theme there are a number of other topics connecting the papers. The inclusion of many different types of naturalists, long distance travellers, clergymen botanists and collection builders will form the basis for discussions on legacy, scientific persona and how to write the biographies of Linnaean scholars. We will also discuss how an investigation of everyday practice, such as paper technologies and collection administration, can help inform our understanding of how Linnaean natural history became a global science. 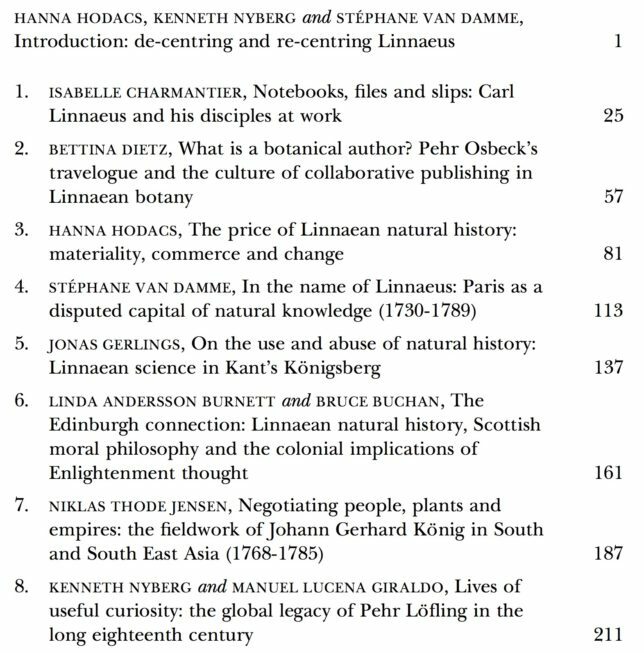 While the main focus is on the period from 1750 to 1820, we will take a long view on Linnaean natural history, exploring its prehistory and origins in the 17th and early 18th centuries. The speakers were Alix Cooper (New York), Brita Brenna (Oslo), Bettina Dietz (Hong Kong), Kenneth Nyberg (Gothenburg), Stéphane Van Damme (Paris), Niklas Thode Jensen (Copenhagen), Isabelle Charmantier (Exeter) and Hanna Hodacs (Warwick). We also had some very distinguished chairs who helped us stay on track and make sense of what it all meant: Marie-Christine Skuncke (Uppsala), Otto Sibum (Uppsala) and Sverker Sörlin (Stockholm). Thank you to everyone for an incredibly intense and enriching day of discussing the global history of Linnaean science! Update 17 October: Here is the complete workshop programme (PDF) for download, including short bios of the speakers and their abstracts.